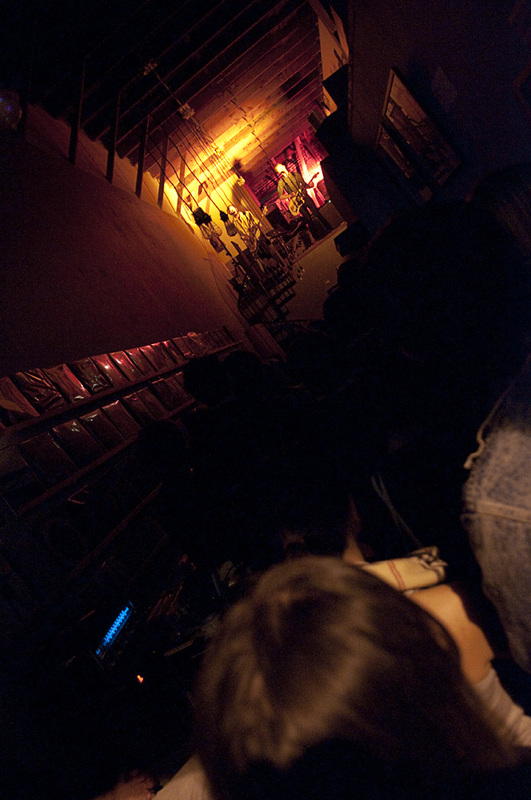 Live In LA: The Franks at Origami Vinyl!! Gratuitous exclamation point usage, I know, but a handful of my favorite things came together on Saturday night when photographer Andrew Herrold and I walked out of The Echo following Young Veins’ early set (which we covered for Spin). Two doors down at the excellent record shop Origami Vinyl, lo and behold, The Franks were tearing through a spirited set of angular econo-punk. To enhance matters further, shopkeeper Neal Schield tossed us a couple of Colt 45 tallboys as we walked through the door, and was kind enough to let Andrew fire off a few shots. The place was about as jammed pack and jammed pack can be — further evidence of the rise of this exceptional East Side three-piece.